While editing audio video files, one of the most important things to take note of is the volume of the audio in different places. You want all sounds to be in harmony with the video. 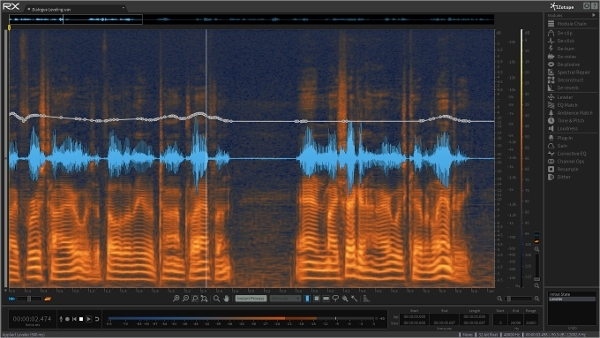 This is where the role of the Audio Noise Reduction Software comes to be of paramount importance. Here under are mentioned the names of the top 7 Audio Noise Reduction Softwares used and loved by professionals and beginners alike. WavePad Audio Editing has been on the top spot for the last couple of years and is expected to rule the audio editing software scene for the present year as well. The software is not only a great noise diminishing software but can perform a whole bunch of other functions. It can record sound from a number of different inputs, such as- microphones, phones, audio recorder, etc. It imports and edits sound from all of these inputs and does a great job at co-ordinating their volumes. Some of the other features that come with the WavePad are- adding fades and effects, merging and splitting of tracks, etc. In case that you are looking for an easy to use and less complex sound editor or Audio noise reduction software, one of the best softwares to settle for is the Free Audio Editor. The Software comes with an office style and user friendly interface. 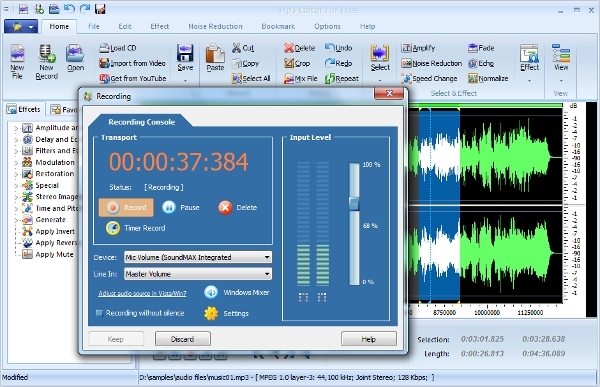 The Software has a variety of effects that you can give to your audio or audio-video files. It also comes with a good number of filters. 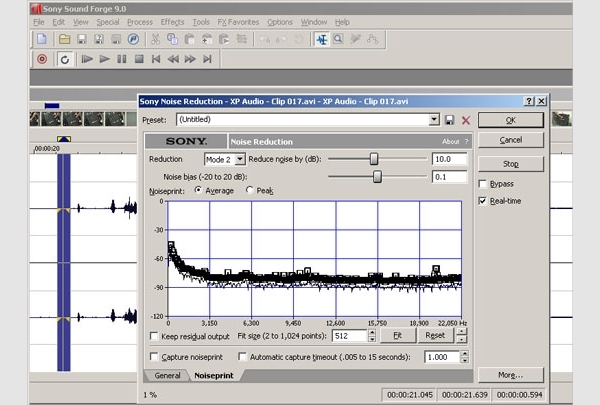 The software supports a variety of audio file formats and can edit, copy, cut and diminish noise for all of them. 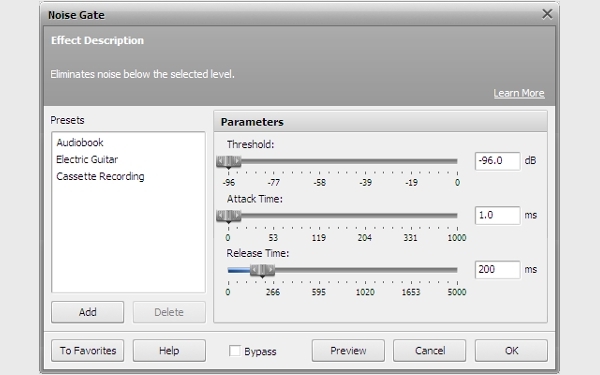 When it comes to audio noise reduction and cancellation, there are a very few softwares that can top the Noise Gate. The software is specifically designed to deal with noise and volume issues in audio and audio-video files. It helps in removing or cancelling sounds during recordings via a microphone or from musical instruments like the synthesiser, electric guitar, etc. It can also compress or remove noise from any file after application of effects, which might cause distortion. 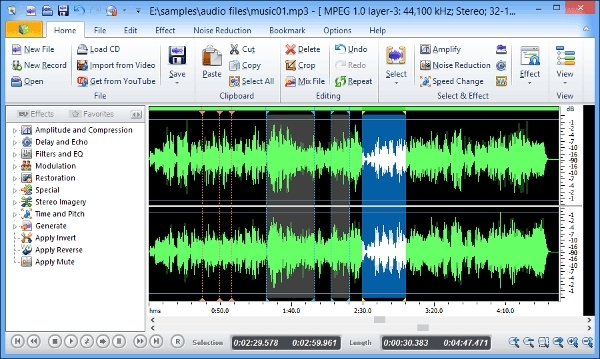 The MP3 Audio editor is one of the most feature rich audio editors and audio noise reduction softwares on this list. 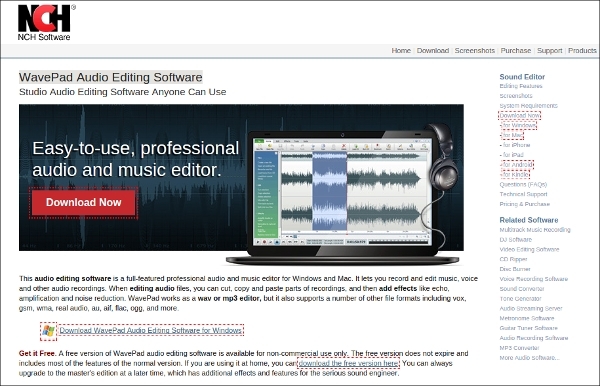 The software is recognised for bringing professional results to your audio editing and enhancing. You can also use it to burn your audio files. It recognises and is compatible with most audio formats like MP3, MP4, etc. It is also used to download YouTube videos and also convert them while removing any kind of sound distortion or compress from them. 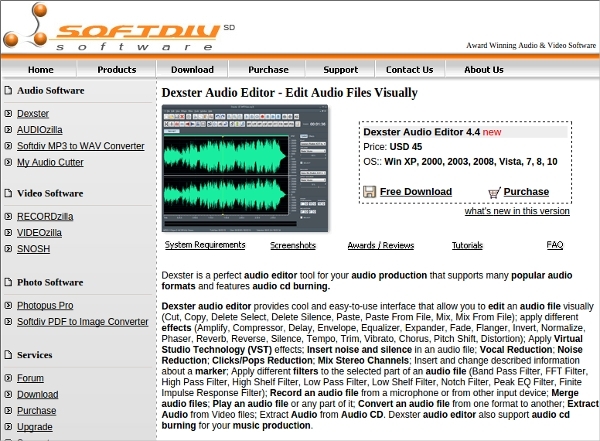 Apart from acting as a great audio noise reduction software, Dexster Audio Editor is also used as one of the best audio editing tool. It is compatible with a variety of file formats, such as- MP2, MP3, VOX, WMA, RAW, MPC, AVI, OGG Vorbis, etc. Other file formats, supported by the software are- Uncompressed WAV PCm and Compressed WAV. Choose from any of the top Audio Noise Filters mentioned above for professional audio editing results. Most of these are free and a great reward for your pocket and career alike.